Movie Ramble: More Joseph Losey. Victor Hansbury was the pseudonym Joseph Losey used to direct his first feature film in Britain following his blacklisting in America. Some members of the cast were worried that they would no longer be able to work in Hollywood if it was discovered they where working with Losey in Britain, hence the assumed name. 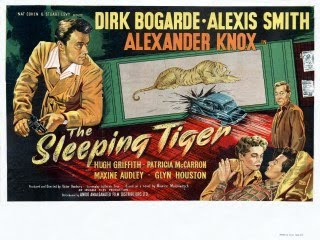 The Sleeping Tiger (1954) also marks the beginning of one of British cinema’s most important actor/director collaboration, Losey’s productive partnership with the great British actor Dirk Bogarde (The Servant (1963), King and Country (1964), Modesty Blaise (1966) and Accident (1967)). A psychiatrist Clive Esmond (Alexander Knox) catches a young criminal Frank Clemens (Bogarde) while attempting a robbery at gunpoint. Rather than send him to prison he invites him to stay at his home as a social guinea pig to help further his theory that he can kerb a mans criminal tendencies. Tensions arise when the shrink’s wife (Alexis Smith) shows just a little too much interest in the social misfit. 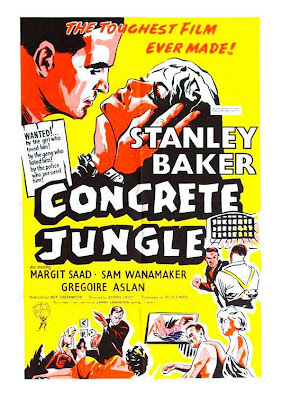 This British film noir was said to be a dry run for The Servant due to the style of camera work and the ‘pithy insights into class hypocrisy and the base human emotions’ a fine start to Losey’s directorial film career in this country. By 1960 Joseph Losey was well established in the UK and following Blind Date (1959) he began to look for something more adventurous and settled on a script by Alun Owen. The Criminal (1960) is the story of an underworld kingpin called Johnny Bannion who when released from prison masterminds a daring racetrack robbery. The robbery is not a success and he is sent back to prison but not before he’s buried the spoils. Johnny must now survive an ordeal at the hands of fellow prisoners who are in cahoots with his previous accomplices who want to get their hands on the missing £40000. 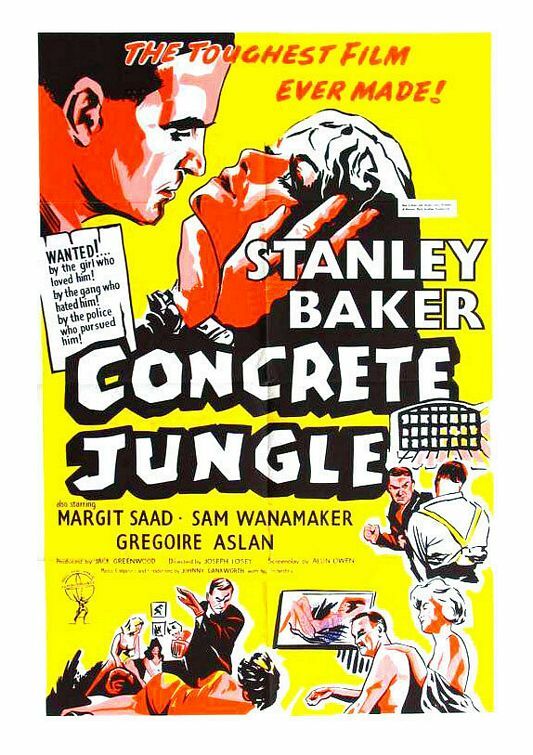 The film depicts a harsh and very violent portrayal of prison life with Losey attempting, in his own words, "to show life in prison as it really was: where the guards were bribed and where there were ruling gangs in opposition to each other... where there was a kind of violence of unbelievable brutality but mixed with humour and a certain kind of compassion." This led to the film being banned in various parts of the world. Stanley Baker is said to have based his performance as Johnny Bannion on his friend, real-life Soho criminal Albert Dimes. The film also stars various well-known British character actors of the period along with American actor Sam Wanamaker and German actress Margit Saad. The compelling score also marked the beginning of a long collaboration between John Dankworth and the director. Dankworths wife Cleo Laine sang the film’s haunting theme.